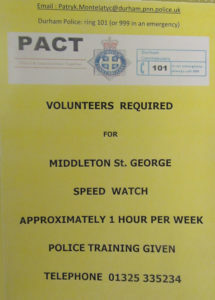 I’m sure that many residents recognise that there is a traffic speeding problem in the village. We have a speed monitor which is moved around the village at intervals. For example: Recently a vehicle speed was measured on Killinghall Row at 75m.p.h. at 10:00 am on a Wednesday morning!